2019 brings the new Shimano STEPS e6100 motor, full length mudguards and integrated lights as standard! Couple this with a Lightweight carbon fork: the Highgate takes women's commuter e-bikes to another level. The women's version of the Whyte Coniston offers a good insight into the extra care this British company devote to designing every bike. 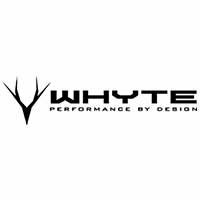 Instead of producing a standard open frame or a modern women's-specific diamond frame, Whyte have opted for a partially dropped top tube. This way you get a stiffer more-efficient hence easier-to-ride bike than one with a traditional 'ladies' frame. Unlike many ladies' frames there's enough room to fit a bottle and cage. Simultaneously, the Coniston has more stepover clearance than any diamond-framed women's bike. 'Using Shimano’s STEPS e-Bike Drive Unit the Highgate is able to take advantage of the pedal assist without compromising the weight distribution and therefore the handling of this compact fit bike.